This is a sponsored post written by me on behalf of KORBEL California Champagne for IZEA. All opinions are 100% mine. Today, I’m sharing with you a delicious and easy-to-make champagne brunch spritzer that will ‘Wow’ your guest. Last year, I hosted Christmas morning brunch at our home. I had mimosas and these Cranberry Champagne Spritzers! Everyone loved them. Best of all, you can make a batch of homemade cranberry sauce for this spritzer, use it at brunch and then use the leftovers with your Christmas dinner! Cranberries are in season, so let’s fully embrace it. 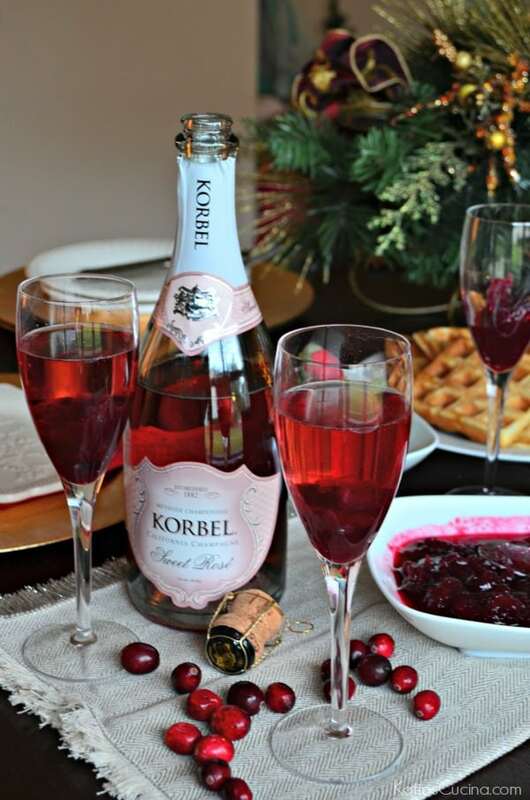 I’ve partnered with my friends at KORBEL to share a few fabulous brunch pairings and this Cranberry Champagne Spritzer recipe to complete your holiday brunch! I want to put you learning a little more about champagne pairing at ease. 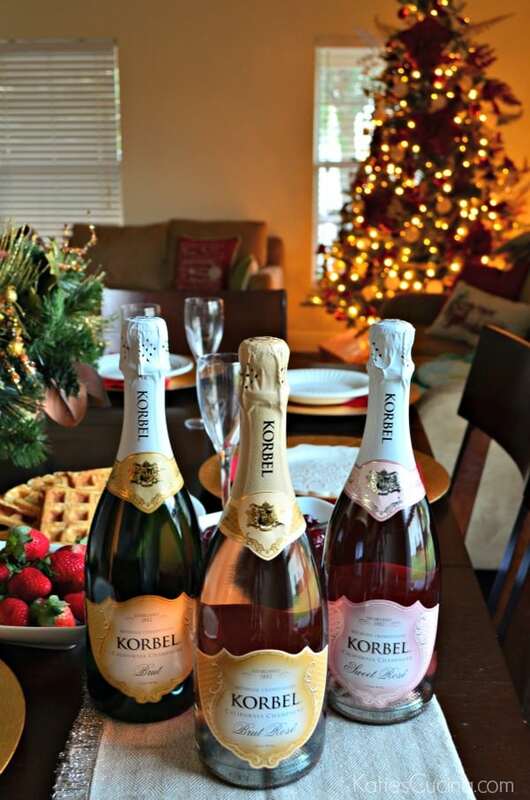 Just think, you can have a KORBEL Brunch too! 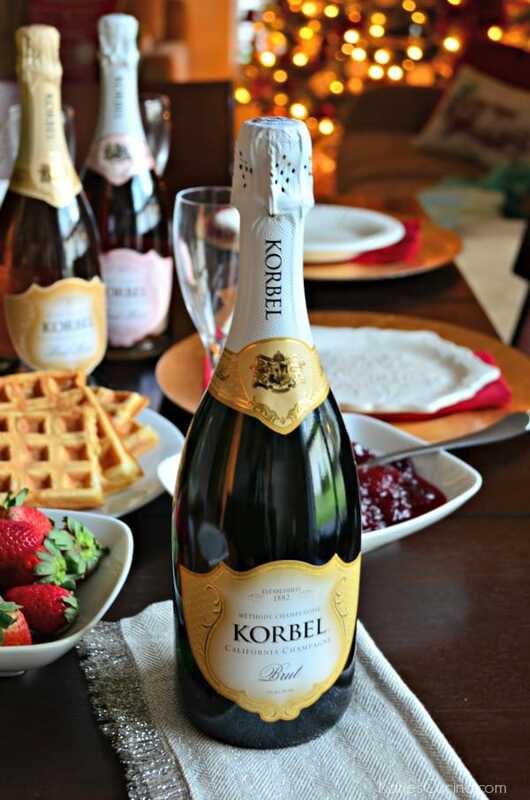 KORBEL Brut is made using some of the finest grapes in California. 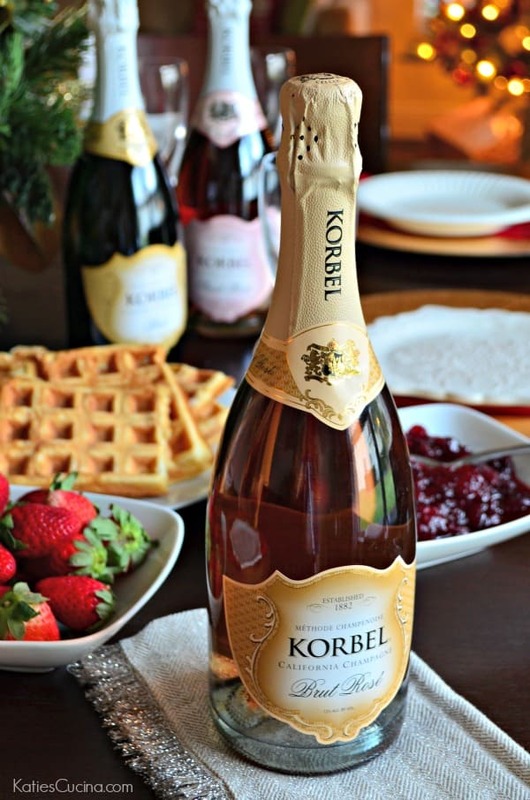 Perfect brunch pairings that will complement this KORBEL Brut would be oysters, smoked salmon, fired or even salty foods. Most cheeses pair well with this Brut. If you have a savory quiche on the brunch menu, this champagne will also pair well with it as well as poultry dishes. 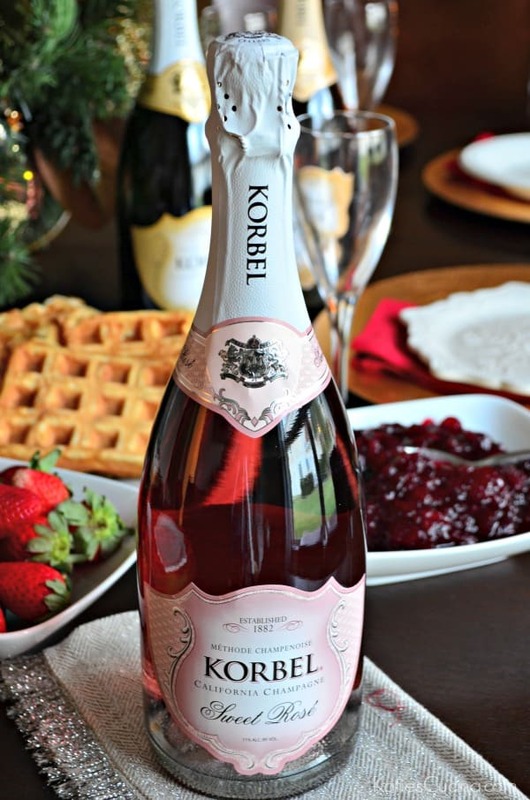 Let’s talk about this KORBEL Brut Rose. This California Champagne is blended to showcase the fruit that is grown in California. Think strawberries, raspberries, cherries, and even melon! For brunch, you can pair this versatile champagne with sausages, seafood, and even tomato sauces. This Brut Rose is also great with turkey and ham. Last year, I served a small holiday ham at brunch and this champagne would definitely pair perfectly with it. Lastly, let’s talk about this KORBEL Sweet Rose. This is what I used to create my Cranberry Champagne Spritzer. This blend pairs well with fresh fruit, chocolate, and/or a selection of aged cheeses. So now that I’ve helped you with a little champagne menu pairing for the holiday brunch, let’s talk about my Cranberry Champagne Spritzer. It is super easy to make and will definitely ‘Wow’ your guest. 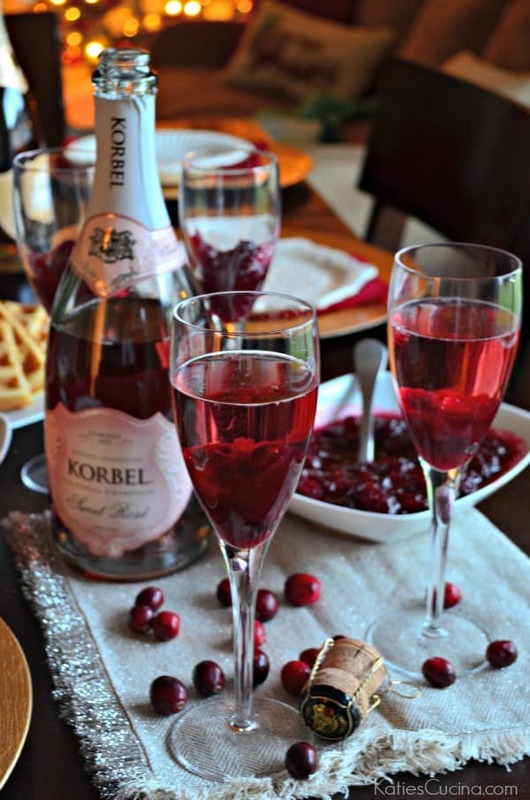 The pairing of the sweet, yet tart cranberry sauce pairs perfectly with the KORBEL Sweet Rose. 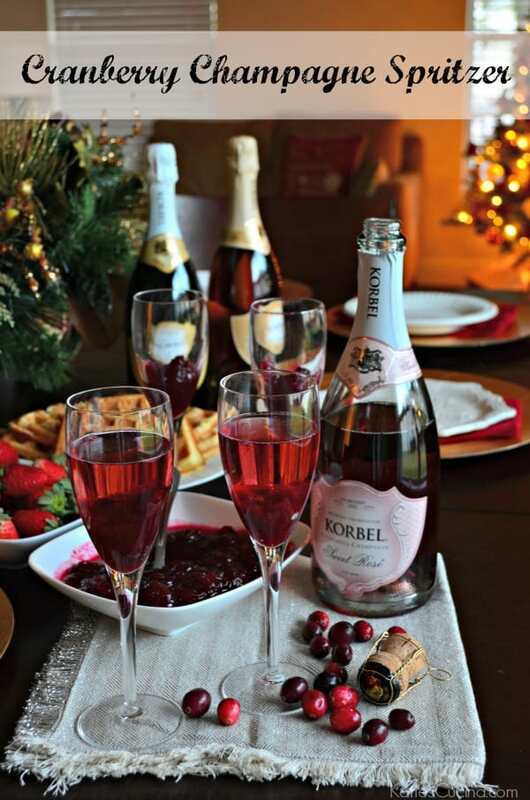 I love champagne by itself, but I also love KORBEL Cocktails. Something about a champagne cocktail makes me feel like brunch is really complete. If you’re planning a brunch this holiday season, I welcome you to try my Cranberry Champagne Spritzer! Spoon 1 tablespoon prepared cranberry sauce in each champagne flute. Katie! The fact that you can always be so innovative while also keeping things simple never seize to amaze me. This sounds amazing! Thanks Zully for the kind words!